Welcome to the Plaza Video Gallery. In this video gallery we offer any DancePlaza account owner the possibility to upload their own dance videos. 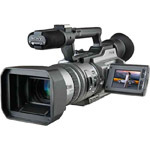 If you have made videos from DanceSport competitions, bloopers, interviews, results with your private digital camcorder, GSM Phone or other recording device, login and upload your video. To upload your movie please select a movie from your pc using the browse button. Fill in a title, group and subgroep and click upload to upload your movie. Keep in mind that the upload proces can take some time.